Please click here for EDGE details. 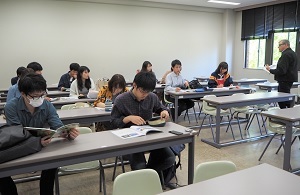 The objective of EDGE is to equip students who have already completed the compulsory first-year PACE course with more advanced proficiency in communicative English. 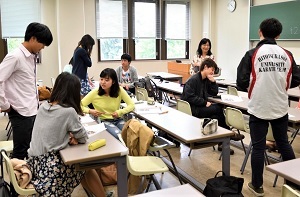 Like the first-year PACE, it features small class sizes and intensive instruction. 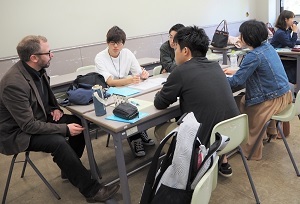 Students not enrolled in the Shibusawa Scholar Program can also take EDGE. 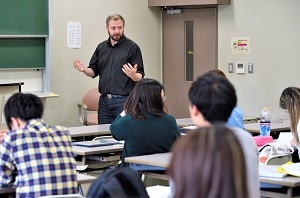 It promises a valuable opportunity to gain a higher level of English proficiency, particularly for students hoping to study abroad during their time at Hitotsubashi, those who plan to go on to MBA or doctoral-level studies overseas after graduation, and those who aspire to working in international business. This course is open to all second-, third- and fourth-year students in the Commerce and Management, Economics, Law, and Social Sciences Faculties. The maximum number of enrolled students is 18. 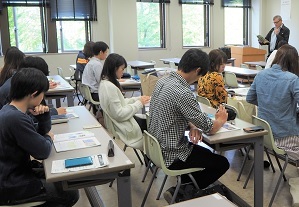 If there are more than 18 enrollment applications, enrollment will be decided by lottery. Please note that students that have taken this course in previous years cannot enroll a second time.